The Interstitial Lung Disease & Pulmonary Fibrosis Program within the Pulmonary Specialty Clinic provides state-of-the-art multidisciplinary care for patients with any of the various causes of ILD or pulmonary fibrosis. Our multidisciplinary team includes board-certified pulmonologists, radiologists, and pathologists who specialize in ILD; a nurse practitioner trained in ILD; nurses; social workers; and genetic counselors. We are committed to providing comprehensive care to our patients and support for patients and caregivers in order to improve their quality of life. We are also committed to advancing the scientific understanding of these disorders and to the development of improved therapies. We work closely with our colleagues in Rheumatology, Pulmonary Hypertension, Sleep Medicine, and Thoracic surgery to achieve the most accurate diagnosis possible and coordinate your care. We also are directly affiliated with the UT Southwestern lung transplant program to allow for successful care of patients with progressive disease. 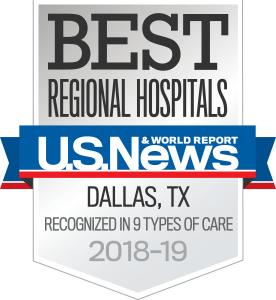 The UT Southwestern Interstitial Lung Disease program is proud to be a designated site of the Pulmonary Fibrosis Foundation (PFF) Care Center Network (CCN). We are the only designated site in North Texas, and one of just 40 nationwide. This selection ensures that the UTSW ILD program has met the rigorous standards required by the Pulmonary Fibrosis Foundation. The goal of the network is to improve the quality of life of affected patients. Being a PFF CCN Site ensures that you will be managed by an experienced multidisciplinary team with extensive expertise in the diagnosis and management of ILD, a commitment to supporting the patient and their family, and strong history of education and research to advance the field. Our expert clinicians care for the full range of interstitial lung disorders and pulmonary fibrosis, including idiopathic, granulomatous, occupational/environmental, medication and autoimmune disease induced disorders. You can expect your first visit to take about one day. When your appointment is made you will be asked to enroll in MyChart, our electronic patient portal. Please do so as this will allow us to send you the pre-visit forms electronically. Please bring a copy of your prior evaluations with you to the appointment including any prior notes, breathing tests, and pathology reports. Also, if you have had chest X-rays or CT scans performed at other institutions, please bring a copy of those tests with you to your first visit. In most cases, a copy of radiologic images can be obtained from the location in which they were performed and given to you on a CD disk. The members of our team will need to view the actual radiology images as the report alone will not be sufficient. About a week prior to your visit you will receive a call from one of our team to review your current medications and past history and review the schedule for the day. Your visit day will start with testing. This usually includes the pulmonary function tests and the high resolution CT scan. You will then meet with the provider who will review your medical history, perform a physical exam and review the available results. Some patients will also have a 6 minute walk test and blood work performed after the visiting with the provider. If it’s necessary to cancel your appointment, please notify the clinic as soon as possible and at least 48-72 hours in advance so that we can accommodate others waiting to schedule appointments.